Dedicated home theaters with immersive multi-channel surround sound. Together and working in concert, a high quality projector and appropriately-sized screen create the focal centerpiece and beauty of the home theater experience. Whether it be via high-definition or 4K ultra-high definition, Northern Audio can help you achieve the image that the filmmaker wanted you to see. Music and sound effects are a crucial part of your home theater experience. With thundering bass, a full mid-range, and crisp clarity of the high end, you will be immediately transported to a place where perception becomes reality. Whether it is 5.1, 7.1, or even 11.2, Dolby Digital or Dolby Atmos, in-wall or external speakers and subwoofers, a Northern Audio installed surround sound system will leave you amazed and breathless. Pressing one button — just ONE — is all you will ever need to power up your entire home theater system. Our custom-programmed remote solutions make it not only easy for you and your family to watch movies or listen to music, but with our smart home solutions you can also control your lighting, home heating, cooling, shades, and security applications. With one easy button-press, you easily access your audio or video server, watch streaming television or movies, play Blu-ray discs, and dim the lights just in time to settle in for the show. It’s just that simple. 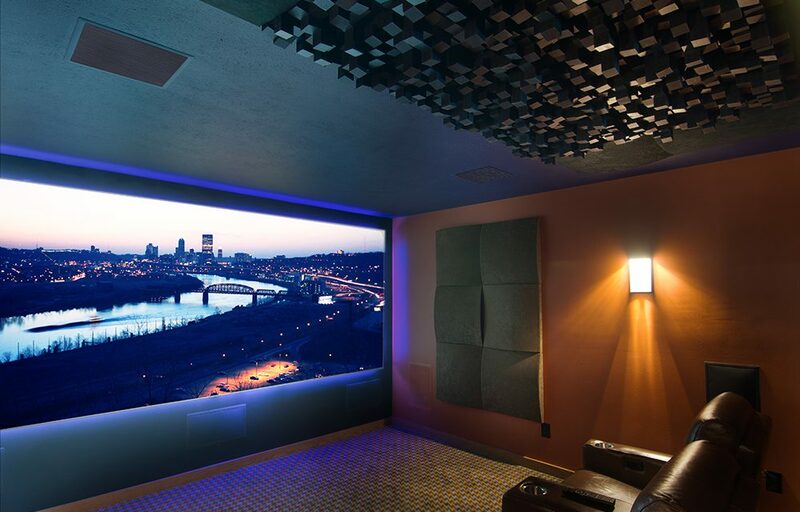 Speak with one of our home theater experts about your project and to schedule a complimentary in-home consultation (412) 931-5850.